Six hundred thousand pounds!? For a three-bedroom wooden bungalow on Shrewsbury Lane? I know house prices are increasing, but that seems a bit much. Ah, but the advert includes the magic word “redevelopment” and also mentions a 0.3 acre plot: “Locally Listed but suitable for redevelopment, the property occupies a plot of approx 0.3 acre atop Shooters Hill on this desirable residential road.” That must explain the price, but that phrase “locally listed but suitable for redevelopment …” sounds a bit presumptuous. Small single storey timber building – originally appeared on Ordnance Survey map of 1846, but rebuilt in previous style in 1976. Lidgebird, brickmaker for the Royal Arsenal, lived here. Built of wood with slate roof and sash windows. Decorative trellis work to sides of windows and projecting porch. A letter to Mr Henry Lidgbird to attend the Surveyor general the 20th about providing bricks for the Royal Brass Foundry at Woolwich. Building 40 (the Academy), 1718–20 and 1721–3. 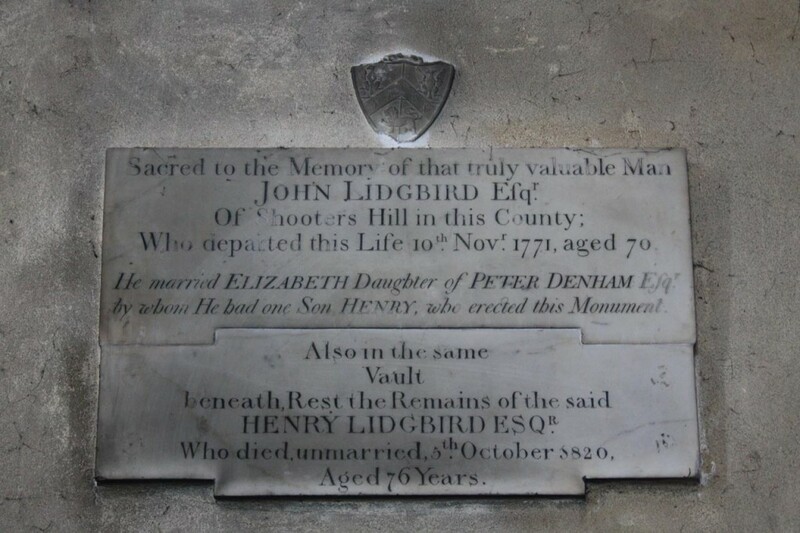 Henry must have had at least two sons as Henry Junior is mentioned frequently in the details of the work at the Royal Arsenal and John Lidgbird also appears in connection with building work in 1745. Sir John Lidgbird, according to David Lloyd Bathe’s “Steeped In History”, bought an extensive area of Shooters Hill on the north side of the Dover Road in 1733, and built a large Georgian mansion called Broom Hall. 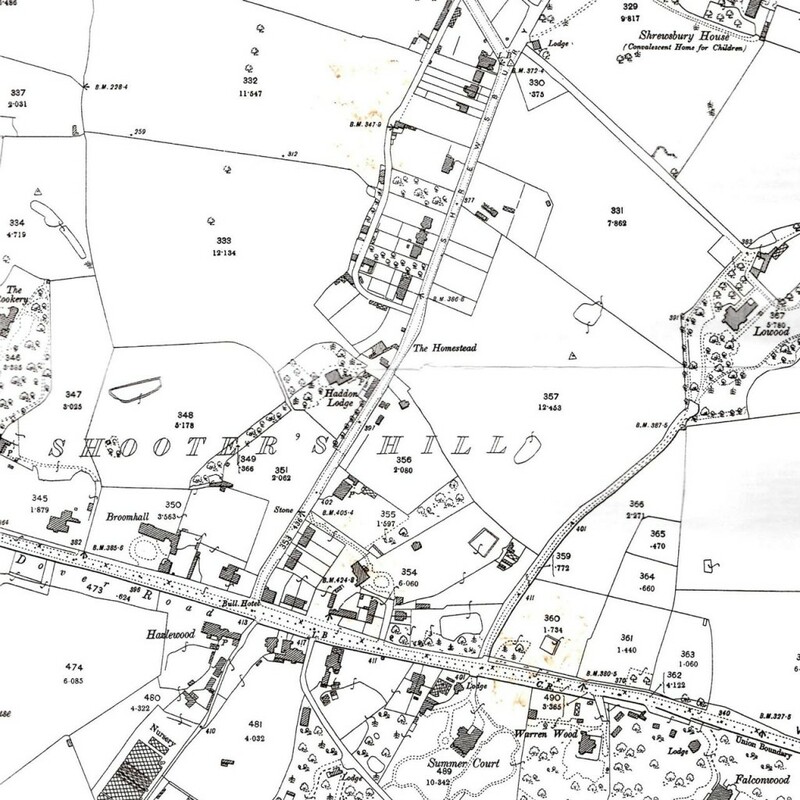 The London Metropolitan Archive have a number of photographs of both the exterior and interior of Broom Hall, and it is shown to the west of Shrewsbury Lane on the snippet of Alan Godfrey’s 1894 OS map below. Bagnold records that John Lidgbird was a church-warden of Plumstead for several years, governor of Plumstead work house in 1740 and High Sheriff of Kent in 1741. He was still involved in building work at the Royal Arsenal: he is recorded as being responsible for building a brick wharf in 1745, and in 1760 the Arsenal bought Shooters Hill gravel from “Mr Lidgbird’s pits” for 3d a load to be mixed with Woolwich Common gravel for the repair of roads and footpaths. The Shooters Hill gravel was essential because the Common gravel wouldn’t bind without an admixture of that from the Hill. The Church in Plumstead where John Lidgbird was church warden would have been St Nicholas, at that time the parish church. 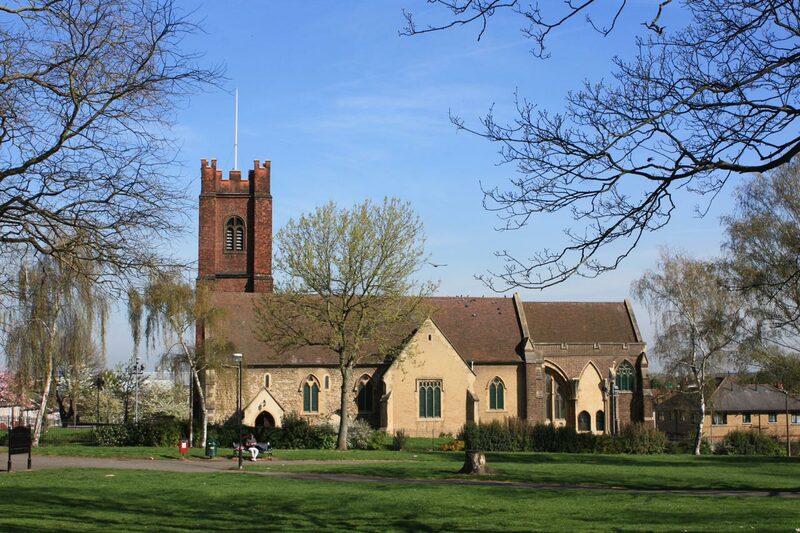 The fascinating grade 2* listed church’s history goes back over a thousand years to 960AD, and at one time it was on the banks of the Thames. I’m indebted to the vicar there for letting me have a look round the church, and take the photograph below of John Lidgbird’s memorial plaque, which describes him as “that truly valuable man”. Just above the plaque is John’s coat of arms: “Quarterly gules and azure, a chevron ermine in chief two eagles displayed argent.” It has been suggested that the two eagles in the coat of arms are the origin of the name of Eaglesfield Park. Sir John died in 1771. An entry in the catalogue of the National Archives suggests his last years may not have been happy – it records a “commission and inquisition of lunacy, into his state of mind and his property”. He was succeeded by his son Henry who inherited John’s substantial land holdings in Shooters Hill, the City of London and Middlesex. This land included that where Shrewsbury House was built, and it was Henry who leased that land to the Earl of Shrewsbury. Henry died intestate in 1820, following which 9 years of litigation concluded with his estate being divided between two distant relatives: Mary Lidgbird, whose daughter also named Mary, married the Reverend Thomas James Dallin, and 15 year old Ann Wilding, who later married Mr. William Jackson of Highgate. The land holdings east of Shrewsbury Lane went to Mary Lidgbird and those to the west to Ann Wilding. Shrewsbury Lane, which had been a winding country lane, was straightened to delineate the boundary between the two holdings. These were significant areas of land: there’s a list of the different parcels of land in the Plumstead Tithe award schedule from August 1842. On the 20th inst., at Trinity Church, Marylebone, the Rev. T. J. DALLIN, A.M. of Wickham House, Shooter’s Hill, Kent, to Miss MARY LIDGBIRD, of Buckingham Place New Road. Both the Dallins and the Jacksons had large houses built on the land they inherited in Shrewsbury Lane, each with substantial grounds. On the West of the Lane was Haddon Lodge which was built by William Jackson in about 1860 and on the East Elmhurst was built by the Dallins in 1859. Bagnold reports that these two were the only houses recorded on the lane in the 1862-67 ordnance survey map. The snippet from Alan Godfrey’s 1894 OS map below shows both houses. Haddon Lodge is labelled, and Elmhurst is the property on the other side of the Lane directly to the South of Haddon Lodge. Elmhurst Cottage is shown just over the road from Haddon Lodge. It can also be seen on the accompanying snippet from Google maps. The1894 map also shows John Lidgbird’s mansion, Broom Hall. Later residents at Elmhurst included Lord Ribblesdale who served in Gladstone’s government as Master of the Buckhounds and chief whip and was immortalised in John Singer Sargent’s painting. The Church was built through the efforts of Revs. T. J. Dallin and J. S. Masters. There is a window to the first, and the Choir Stalls are a Memorial to the other. There is also a Lectern in memory of Mr. Woolfield-Hardinge, Churchwarden 1884-1890. The Registers date from 1855. 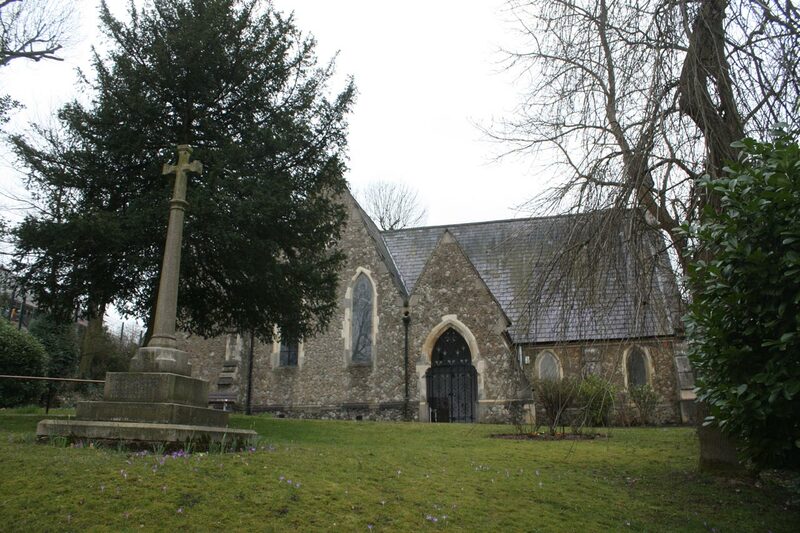 The money to build Christ Church, some £2000, was all raised by public subscription. Dallin himself laid the foundation stone on 22nd August 1855, and presided over services from its opening on 1st December 1856 until his death in 1865. Lidgbird’s Broom Hall was demolished in 1937, replaced by the houses on Shooters Hill and Hill End. Elmhurst and Haddon Lodge are also now housing, with just a remnant of the Lodge’s perimeter wall surviving at the side of Occupation Lane. Elmhurst Cottage is a last reminder of all that local history, a reminder that will be lost if the cottage is demolished and redeveloped. In considering proposals affecting buildings on the Local List of Buildings of Architectural or Historic Interest, substantial weight will be given to protecting and conserving the particular characteristics that account for their designation. Consequently, proposals for the demolition or unsympathetic alteration of Locally Listed Buildings will be strongly discouraged. My fear, based on what has happened at other Shooters Hill “development” sites is that a developer who cares little about the area will submit a planning application to demolish the cottage and build something completely inappropriate like a three storey block of flats which crams in as many saleable units as possible. 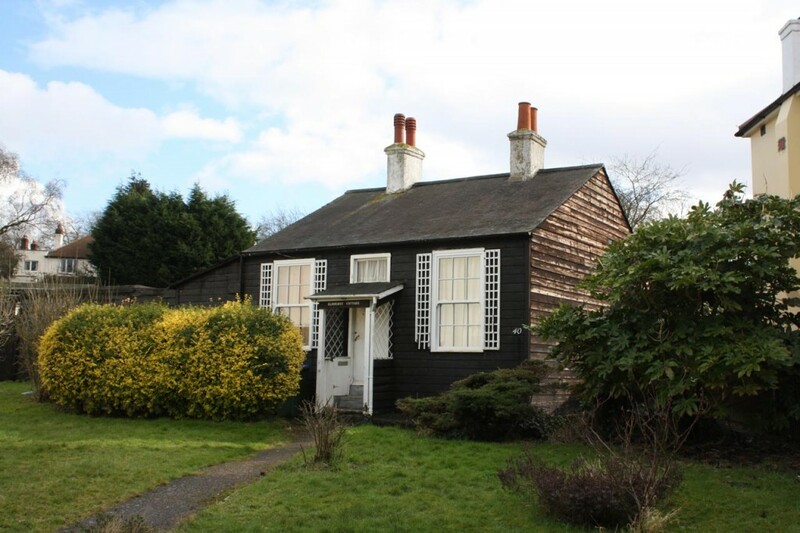 Following local opposition this will be rejected by the Greenwich Planning Committee – because the cottage is locally listed, because the proposal is incompatible with the character of the area and because the development constitutes garden grabbing. The site will then be boarded up and become a tip while the developers sit and wait for a change in policy or a change in government. Wouldn’t it be nice if the cottage was bought by someone sympathetic to the neighbourhood, who talked to the cottage’s neighbours about their plans, and then proposed changes that preserve as much as possible and celebrate the local history. A bit like the development of the former gas decontamination centre at Furze Lodge which now has a display about the building’s history at the front. However can that be afforded when the cottage is priced at £600,000? A fascinating and well-researched piece. I had conducted a little research of my own some years ago, but not to the extent that you have and, although I have much of the information about Jackson, Dallin, et al, had not yet tied much of it together. I think this will be invaluable information. Anyway, I had long imagined retiring to Elmhurst Cottage. At £600,000, another dream has gone pop! John Lidgebird also built the Bull Hotel (demolished 1880) to rival the Catherine Wheel, following his failure to buy that institution, and to capitalise on the improvements to Shooters Hill. Very interesting article. 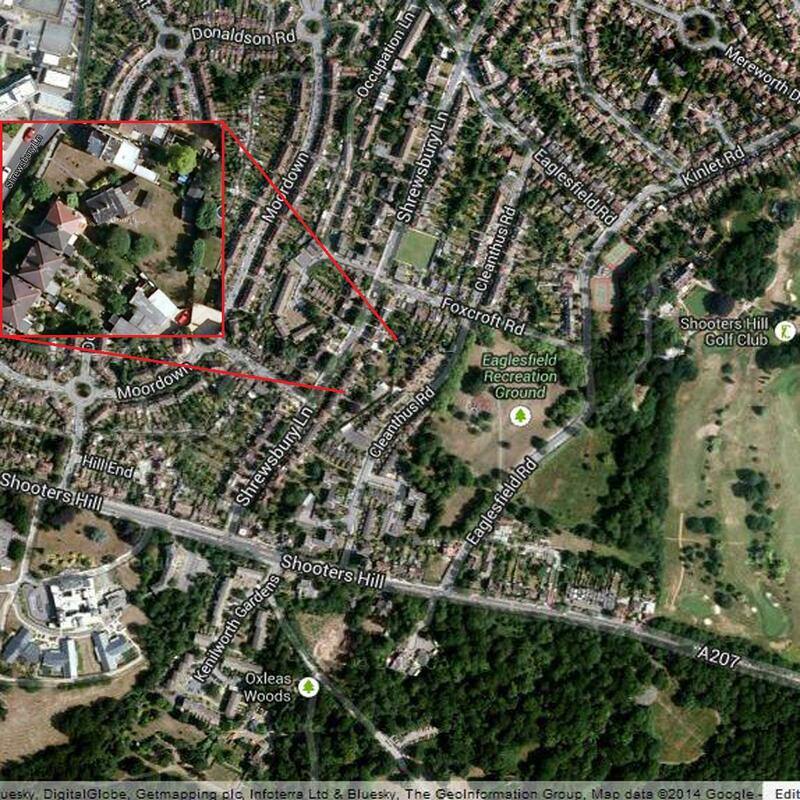 I think the Jacksons were also the first owners of Lowood Lodge (Shooters Hill Golf Club) and there was a pathway from Shrewsbury House to Lowood which was bought by Laing’s when they built houses on the Laing estate. I think you may be right about the Jacksons and Lowood. David Lloyd Bathe’s “Steeped In History” says that Lowood was built in 1874 by J.J. Jackson, but I couldn’t link him definitively to the Jacksons who inherited from Henry Lidgbird. HI since moving down south I have lost contact with the “Hill” although I have managed to meet a few old friends a few weeks ago. It is wonderful your site is still on the go as a community link with its history is so important, and thanks for the mention in the article. I have managed to meet the son of the local dentist (Herbert Road) who lived in Shrewsbury lane (The house with the sub station) and he told me many stories about his life on the hill in the ’50’s. As for the sale of Elmhurst, I just hope a High Rise block of flats will not replace it, which is what they wanted in Cleanthus all those years ago.